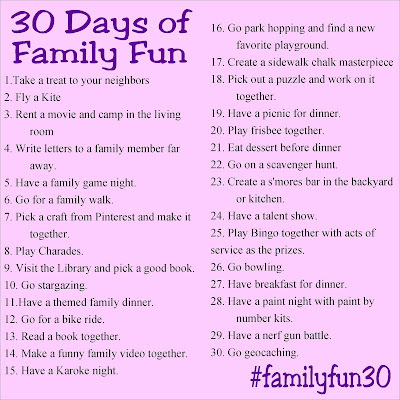 Create memories and lots of family fun with your family this year by taking part in the 30 Days of Family Fun challenge. Do one fun activity each day in April and share on Instagram for a month of memories that will last a lifetime. Does it seem to you like there's just about something awesome in every month of the year? There's usually a holiday or something fun to look forward to. With Easter being so early this year, it seems like April is just kind of "there" this year. There isn't really much to look forward to in April (other than the warming temperature, but even that's not always a guarantee.) It's kind of just the month after Easter and before school gets out. Not much to look forward to. So this year, I decided to create a challenge for myself, and you can join in if you're interested. 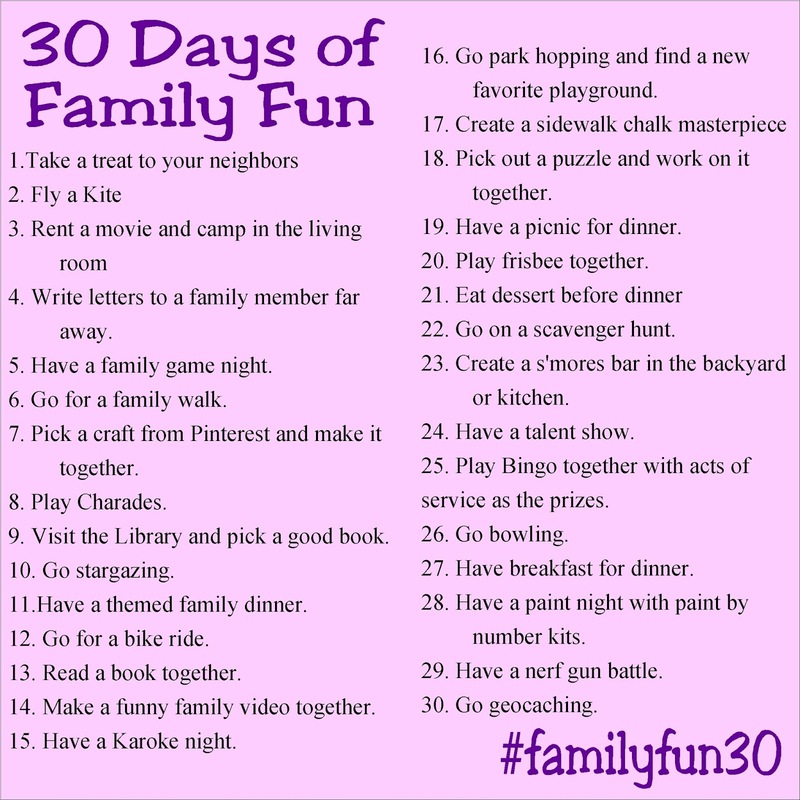 I've thought of 30 days of family fun ideas. This will give us something exciting to do every day of the month so April is filled with fun family memories and doesn't get lost in the everyday grind of life. If you want to follow along with me, I'll be sharing my family fun prompts every morning on Instagram and a picture of what we did that night. Be sure to follow me here on Instagram to not miss out on the fun. 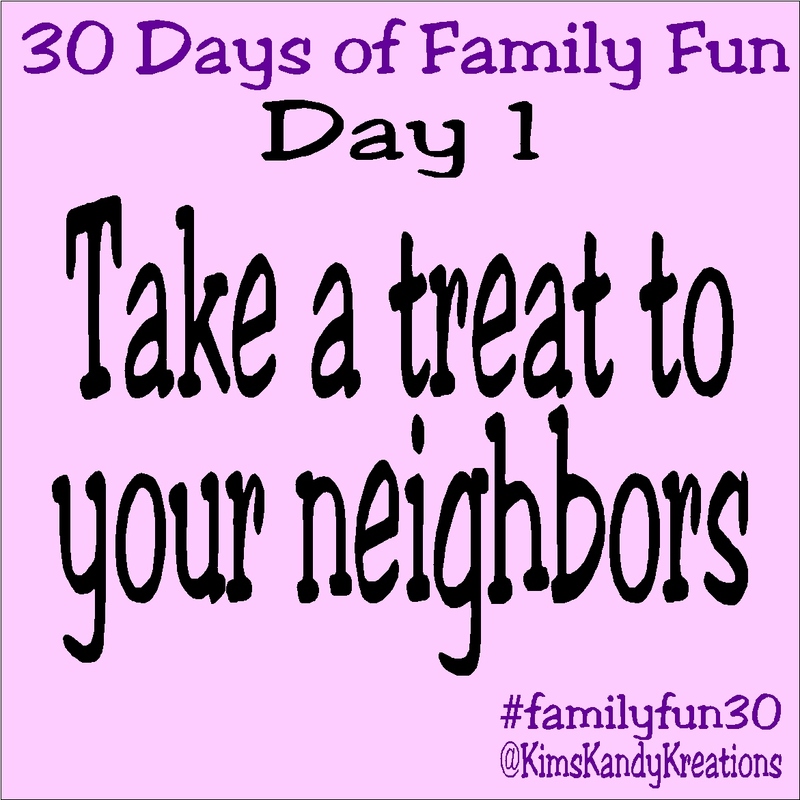 If you want to join in, feel free to pick those activities that fit into your life, budget, and time. 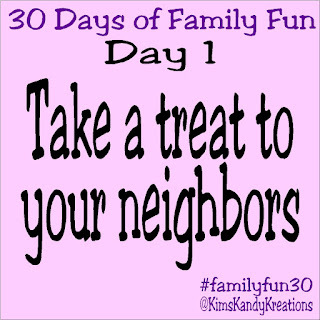 Feel free to tag me on Instagram or use the hashtag #familyfun30. 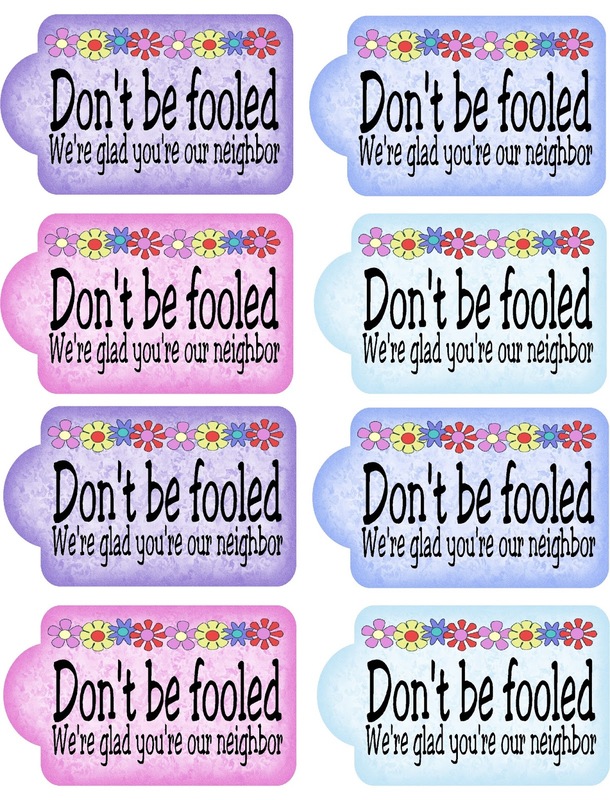 The first day is April 1st (April Fools Day) so I created a fun free printable to go along with the prompt of "Take a treat to your neighbor." 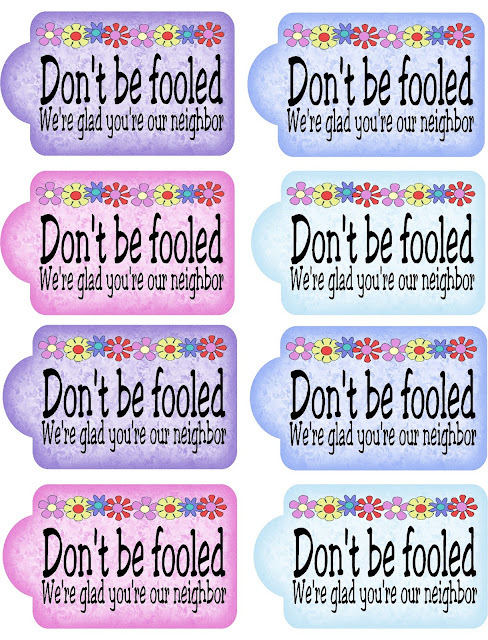 The boys and I are going to make fun cookies and add this tag to the treats and give to our friends around us.